Ash Archives - Horror News Network - The Horror News You Need! Was 2013’s ‘Evil Dead’ a Sequel or a Remake? Director Fede Alvarez Finally Settles the Beef! http://www.horrornewsnetwork.net/wp-content/uploads/2016/05/HNN-logo.jpg 0 0 Larry Dwyer http://www.horrornewsnetwork.net/wp-content/uploads/2016/05/HNN-logo.jpg Larry Dwyer2018-11-09 10:58:162018-11-09 10:58:16Was 2013's 'Evil Dead' a Sequel or a Remake? Director Fede Alvarez Finally Settles the Beef! 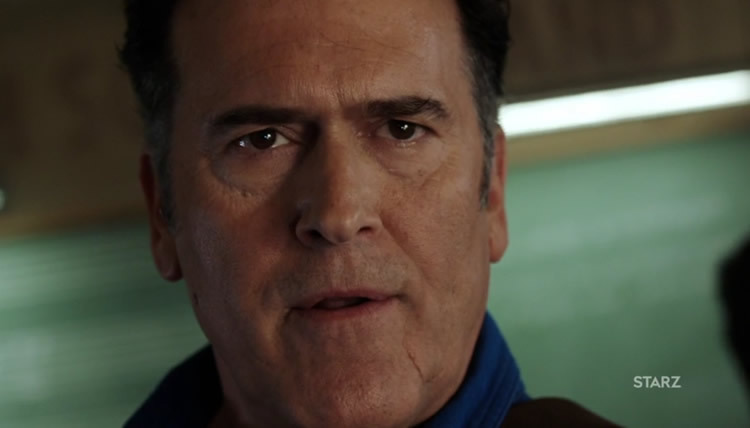 Starz delivered horror fans a Halloween treat as they revealed a teaser trailer for the third season of Ash vs Evil Dead. Like the two seasons before it, season three will be 10 episodes long.